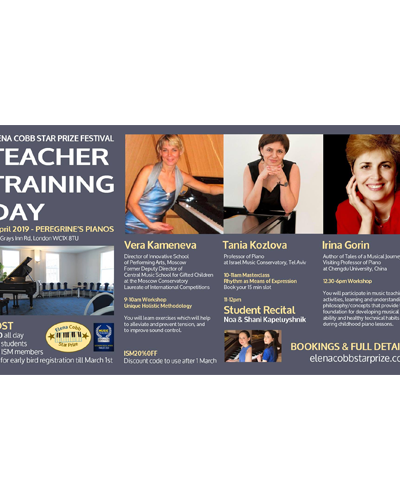 Three internationally renowned piano pedagogues will be taking part in the Elena Cobb Star Prize Festival Teacher Training Day 2019. 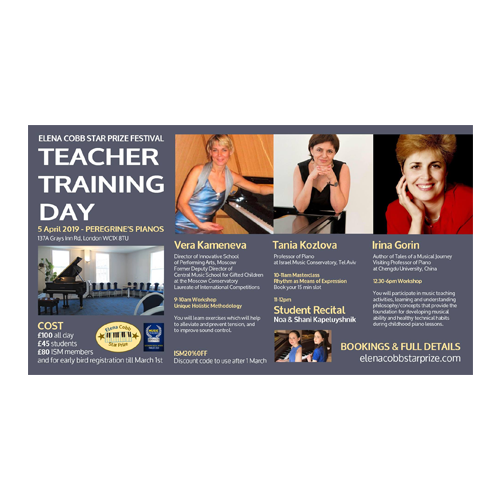 The day offers a rare opportunity to participate in and observe two workshops and a masterclass with leading piano teachers Vera Kameneva (Russia), Tania Kozlova (Israel) and Irina Gorin (USA). Laureate of International Competitions) will be running a workshop, which teaches exercises to help alleviate and prevent tension and to improve sound control. 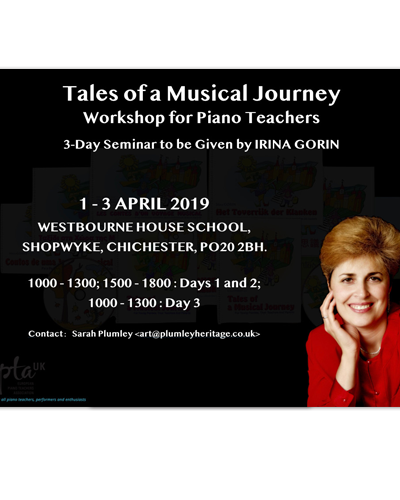 Tania Kozlova (Professor of Piano at the Israel Music Conservatory in Tel Aviv) will give a masterclass on Rhythm as a Means of Expression, followed by a recital by two of her pupils. 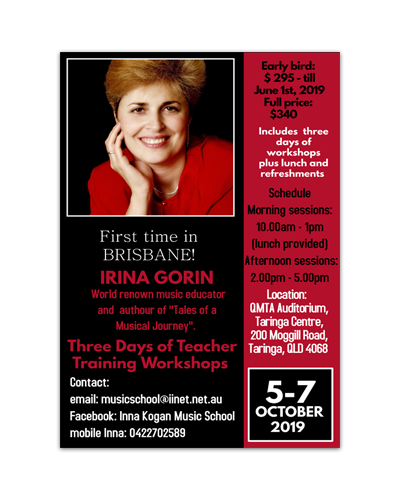 In the workshop by Irina Gorin (author of Tales of a Musical Journey and a visiting Professor of Piano, at Chengdu University in China), there will be music teaching activities, and explanations of philosophies and concepts which help provide the foundation for developing musical ability and healthy technical habits during childhood piano lessons. Venue: Peregrine’s Pianos, 137A Grays Inn Rd, London WC1X 8TU on Friday, 5 April 2019; 9am – 6pm. Fees: Standard – £100: ISM members and early bird registrations before March 1 – £80: Students – £45. After 1 March, please use discount code ISM20%OFF.